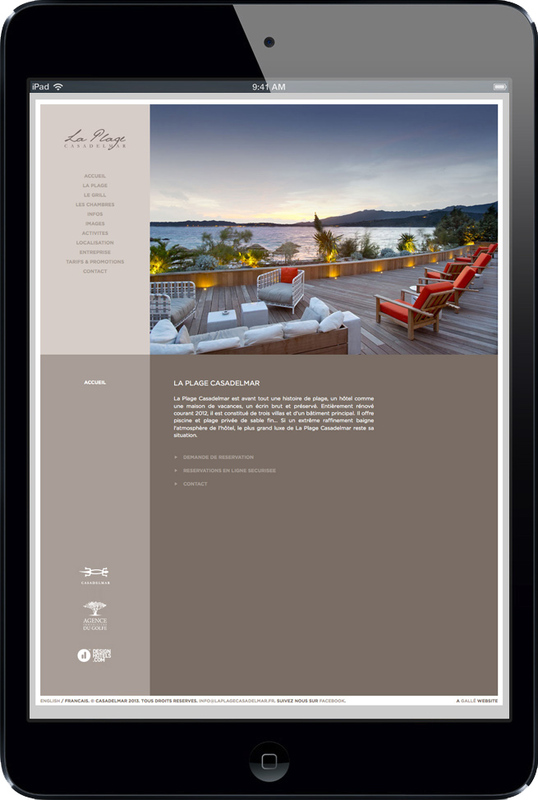 GALLE, DESIGN FOR LUXURY BRANDS: Brand identity, website and graphic system design for the hotel and resort in Corsica, France. La Plage is Casadelmar's second hotel in Porto-Vecchio. It is a boat ride away accross the bay from the main hotel and shares some of its facilities with it. A key feature of the hotel is the incredibly clean and smooth beach, which we decided should always be a main feature of our brand aesthetic. Once we knew the rationale, the logo became self-evident: who hasn't drawn their own name in the sand at some point in their childhood?